Register your company today and get access to thousands of company cars! With DriveNow car sharing we offer a new type of company car service! Where hundreds of cars are parked in your city ready to be driven for business meetings, business trips or for a weekend out of town. Just find a car, unlock it and start driving. We offer discounted rates for companies and their employees. So why do you need one company car when you can hundreds? Once your company registers with DriveNow you and all of your employees will be able to get a discounted registration fee and discounted rates for driving. The rates per minute depend on how many employees your company has and how often they use their new company cars. This means all of your customers will be able to get a company car whenever they need one. The cost for the company to get started is €0! There is no reason not to sign up and see how you can save money and reward your employees. We have hundreds of cars parked in a Munich, Berlin, Hamburg, Dusseldorf, Cologne, London, Brussels, Milan, Vienna, Lisbon, Helsinki, and Copenhagen. After you register your company with DriveNow, all of your customers will be able to start driving any of our cars in any city. You only pay when you use our service, our per minute or daily rate price includes insurance, parking, fuel and much more. So your company doesn’t have to worry about insurance, organizing a fleet, extra taxes, let us do all of that work for you. 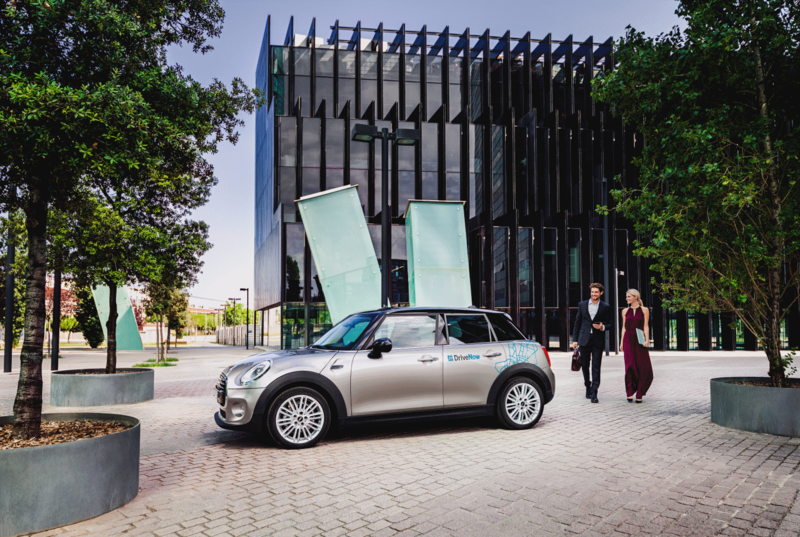 DriveNow gives corporations an easier way to let their employees get a company car when they need one.